On behalf of your Committee, it brings me great pleasure to invite you and your Guests to the Caledonian Society's annual whisky tasting extravaganza! This year we have the honour of welcoming Professor Robertson Wellen back to once again educate and entertain us on the many joys that constitute the nice dram we all love so much. 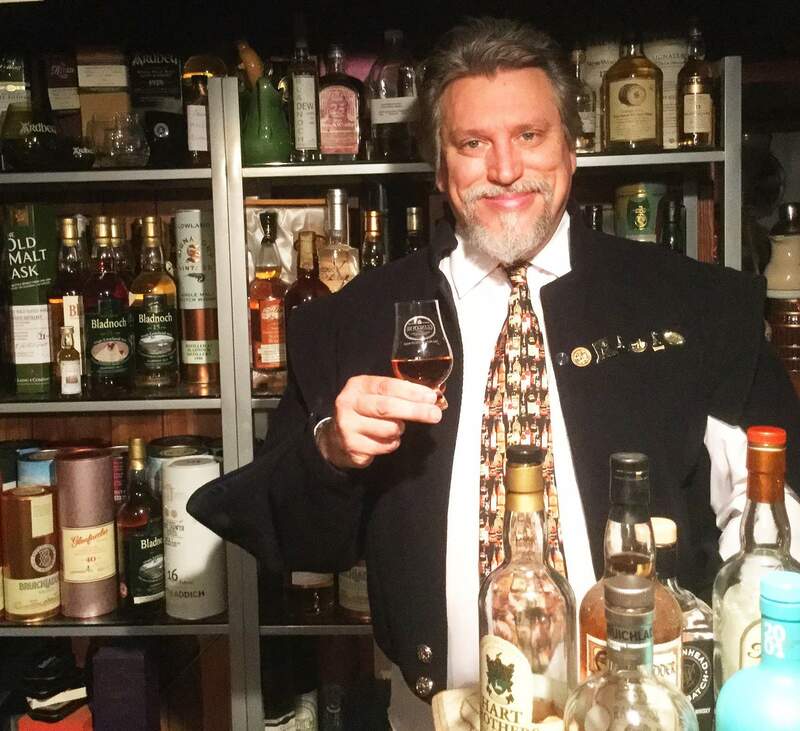 Coming all the way from Dumfries, Scotland, where he runs his own B&B and, according to urban legend, keeps a private "secret" whisky cellar, Professor Wellen will most certainly ensure that we are in for a treat indeed..
450 NOK for Members and 550 NOK for Guests. Places are limited, so don't hesitate - secure places for yourself and your Guest(s) now! We will register Members and Guests on an equal first come, first serve basis.